Top Rated Writing Tutors in New York City! Welcome to New York’s top-rated private writing in-home tutoring service! 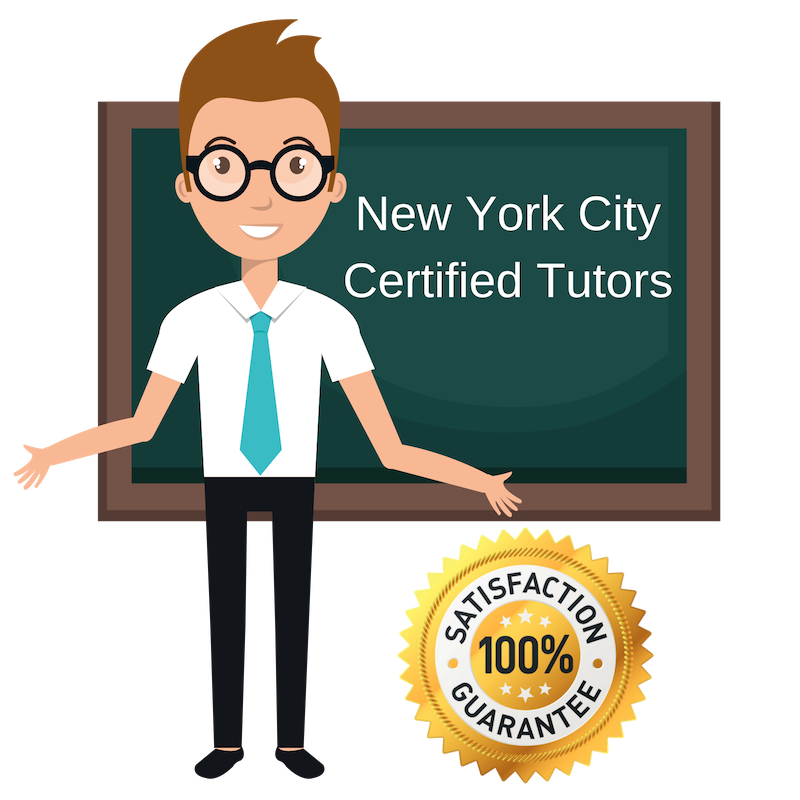 All of the following New York writing tutors are certified by Varsity Tutors, the leading tutoring agency in the country! All New York writing tutors have been background checked, been interviewed, had mock writing tutoring sessions, and been trained by professionals. We guarantee you will love your local New York writing tutor or your money back! Get information regarding a top-rated writing tutor today! I am a private tutor living and working in New York City, NY and hoping to help students improve their skills in reading and writing. I am an experienced tutor who has worked extensively with students ages 5-15 in reading, writing, and additional subjects, but I enjoy tutoring reading and writing because of how students are often able to connect to the works of focus on a personal level once they have adequate understanding of the material. I think a personal interest in a subject makes learning it much more manageable regardless of the level of difficulty. As a student myself, I attended the University of Pennsylvania for my bachelor’s degree in English and the London School of Economics for my master’s degree in media and communications. I am a private tutor in New York City, NY with a fierce interest in English literature and composition. Today, I am available to help students who may be struggling with writing, reading, or similar relevant subjects in the New York City area. Previously, I have tutored students in English and English for standardized testing. In my own studies, I have completed a bachelor’s degree in philosophy with minors in English literature and history, and have spent the past several years intensively studying German. I enjoy tutoring English because of the creativity students have with it and the opportunities to embark on journeys of critical reflection given to students who they investigate works of literature. I am an experienced tutor of foreign languages, having spent the past eight years teaching Mandarin as a foreign language in New York City, NY. I studied at the Tapei National University of the Arts for my bachelor’s degree in music and in addition to teaching languages, I have also worked teaching Mandarin music. I have taught a range of students from 20 months old to 45 years old and am happy to accept students of any age with any educational background. I very much enjoy tutoring and simply seek students who are eager to learn and improve themselves. I am currently available for tutoring in writing, reading, and English language arts in the New York City area. I am an educator with fourteen years of experience teaching and tutoring students of all backgrounds. I continue to work in professional tutoring and education because I am deeply motivated by the process of helping students go from having minimal understanding, frustration, and low confidence to mastery of concepts, confidence in explaining topics, and study skills to work out new problems themselves. I hold a master’s in special education from Johns Hopkins University and also have a bachelor’s degree in music from Shenandoah University. I am a doctor of cultural studies and professional tutor in the New York City area. I have also completed bachelor’s degrees in both English and mathematics at Bowdoin University in Maine, and have competency in a wide range of subjects. I enjoy working with students to develop study skills, explore concepts from unique perspectives, and discover which areas of study they most enjoy. Previously, I have worked as a writing assistant for students at Bowdoin, an elementary school math tutor, and a teacher abroad in Kathmandu, Nepal. My favorite subjects to tutor are reading, writing, and mathematics as I have extensive personal experience in both areas and enjoy studying them myself.